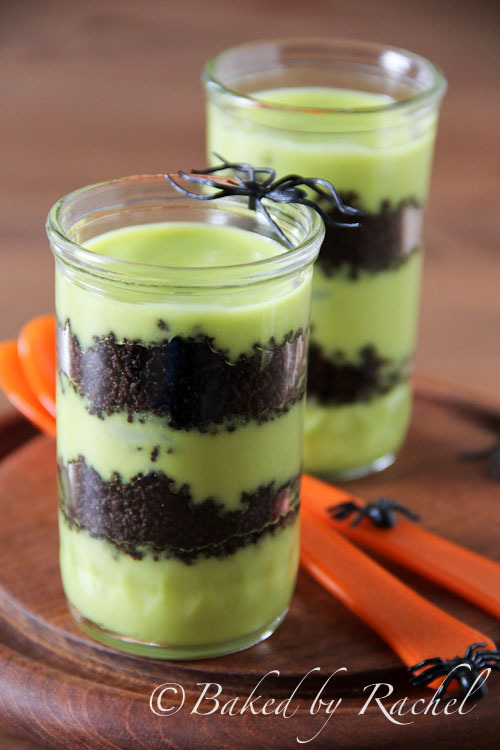 Vanilla pudding and crushed chocolate cookies turned into a spooky Halloween treat. Witches, ghosts, goblins and black cats, they’re the spooky side of Halloween. And what’s Halloween without a little spookiness? It can’t be all fairies and super heroes. I have good and evil in my house this year, two colorful fairies and a one eyed horned monster. Fun times. 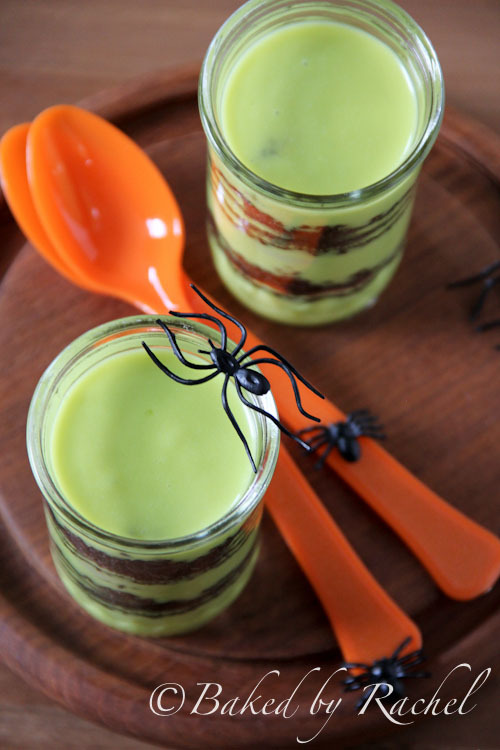 I was invited to be part of McCormick’s Spooky Squad and share some fun Halloween recipes. Everything that came to mind revolved around goo or something oozing. I just couldn’t create a cutesie recipe when it’s for the Spooky Squad, that wouldn’t make sense. 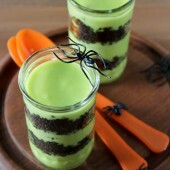 It’s easy to transform an ordinary item, already well loved by kids and adults alike, into a spooky dessert. With the help of McCormick’s fun food color selection I was able to turn an everyday homemade vanilla pudding into goblin goo. It’ll be our little secret that it’s really pudding. Add crushed cookies for a fun layering effect and bonus flavor. 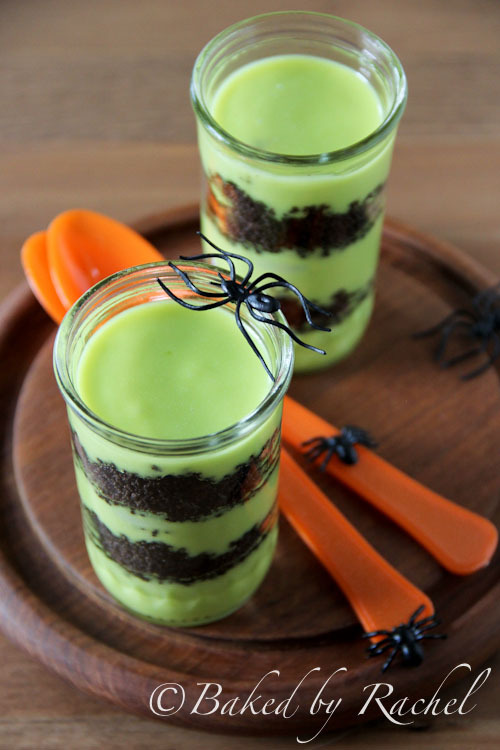 It’s an easy spooky treat the entire family will enjoy. This whips up in a matter of minutes. Feel free to use boxed pudding mix in a pinch but nothing beats the taste of homemade. Prepare a large batch ahead and serve it to your friends and family as a spooky Halloween treat. 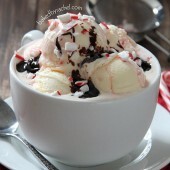 In a small saucepan over medium-low heat, cook 1 cup heavy cream, sugar and salt until steaming. In a small bowl combine cornstarch and remaining 1/4 cup heavy cream, mixing until completely smooth. Add to saucepan, cooking until thickened or roughly 3-5 minutes. Reduce heat to low. In small bowl while whisking egg continuously, slowly drizzle in hot milk liquid. Transfer egg mixture to saucepan and continue cooking over low heat. Stir in butter and vanilla, mixing for an additional minute. Transfer to a medium bowl, add neon food coloring. Stir well until no streaks remain. Enjoy warm or cover with plastic wrap pressed into the top of the pudding to prevent skin. When ready to prepare parfaits, in 3 small juice glasses layer tinted pudding and crushed chocolate cookies. Enjoy immediately or store chilled until ready to serve. Disclosure: This is a sponsored post. I was paid by McCormick to create a recipe as part of the Spooky Squad. All opinions are my own. These are adorable! My daughter would flip for them! These are adorable, would it be wrong to make it just for me? These are fantastic, love them! Love these – and I would love eating one, too!! How cute are these?! I need to get in the Halloween spirit quickly! This is so fun! I love the spiders! Oh how fun! My boys would love these for a Halloween treat! Love the goo! Looks spooky and delicious. I bet your kids are gonna be adorable in their costumes!! Looks pretty amazing to me, Rachel! What a great idea! –how much milk do we need to use and how hot should it be? EXCITED TO TRY THIS OUT!! Happy Halloween and THANKS FOR SHARING! The cream (a milk/dairy product) is listed in the two previous paragraphs from that point in the recipe. 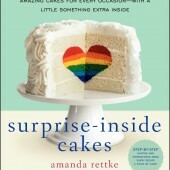 These look amazing and oh-so creapy!!! Theses look great. Can’t wait to try them this year. It looks real tasty but I have some questions to ask some of us might have diabetes here couldn’t you use low fat goat milk and instant pudding to make this recipe since I know adults down in naples fl are watching their weight here. when you refer to heavy cream do you mean whipping cream? when you say chill it do you mean the refrigerator or freezer until ready to serve? 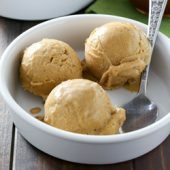 Heavy cream is different than whipping cream, it is also used for the fat content but you’re welcome to attempt to substitute a different milk product. Keep in mind that I haven’t done it that way so I can’t promise how the final product will turn out or taste. And yes, chill means refrigerate (freeze would mean to place in the freezer). Good luck and enjoy!